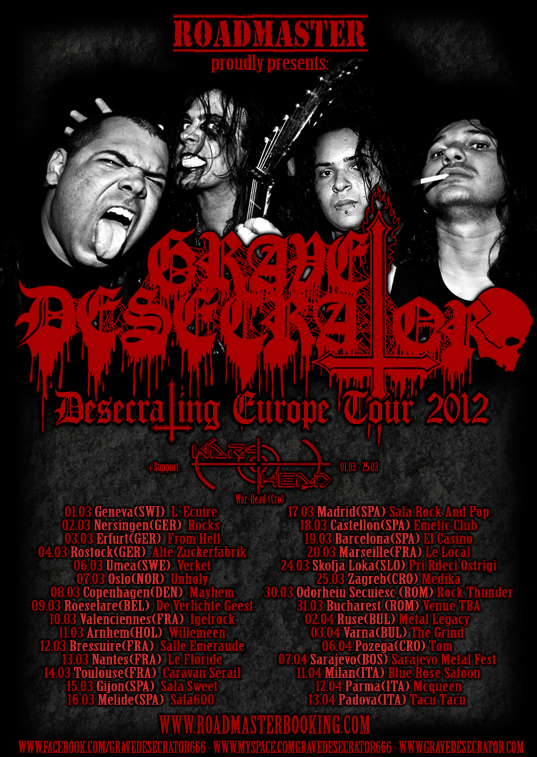 GRAVE DESECRATOR announces the dates of the Eurotour 2012! Available dates in March: 05th, 21st, 22nd, 23rd, 26th, 27th, 28th & 29th. Available dates in April: 01st, 08th, 09th & 10th. GRAVE DESECRATOR anuncia datas da Eurotour 2012 !